While I certainly wouldn’t want to call myself a model hostess, I always like to throw a little holiday gathering for my friends each year! It’s always hard to get a group together right before we all head home for Christmas, mainly because the holiday season is so crazy busy, but it’s always worth it to try. Last year I hosted a fun (and somewhat silly) cookie decorating party – my friends came over and enjoyed Christmas music, eggnog, spiked cider and a crafty activity they could take home with them. While a lot of my friends are year-round wine drinkers, I have always had a soft spot for holiday cocktails. 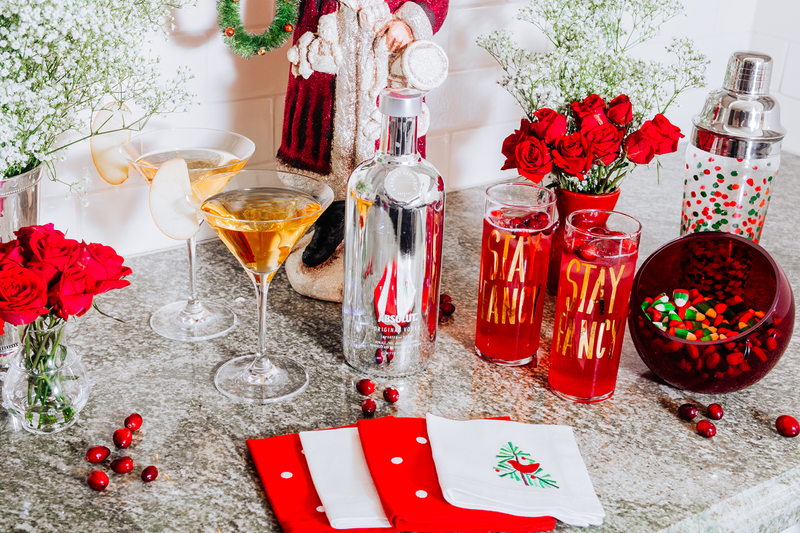 It really sets the mood and gets you in the holiday spirit – pun not intended! This year I wanted to test out a couple new recipes instead of going the eggnog and cider route. To make the grocery list a little simpler, I opted for one type of alcohol for both beverages: Absolut Electrik. These stunning limited edition bottles feature the same clean, smooth taste you’ve always loved from Absolut Original Vodka, but in a striking silver and electric blue metallic look! 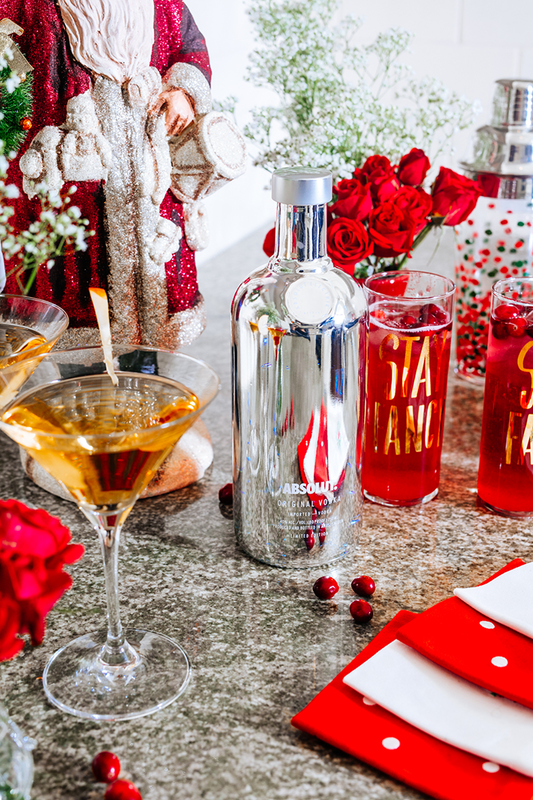 They add a little sparkle to your bar cart, not to mention making a great gift idea! 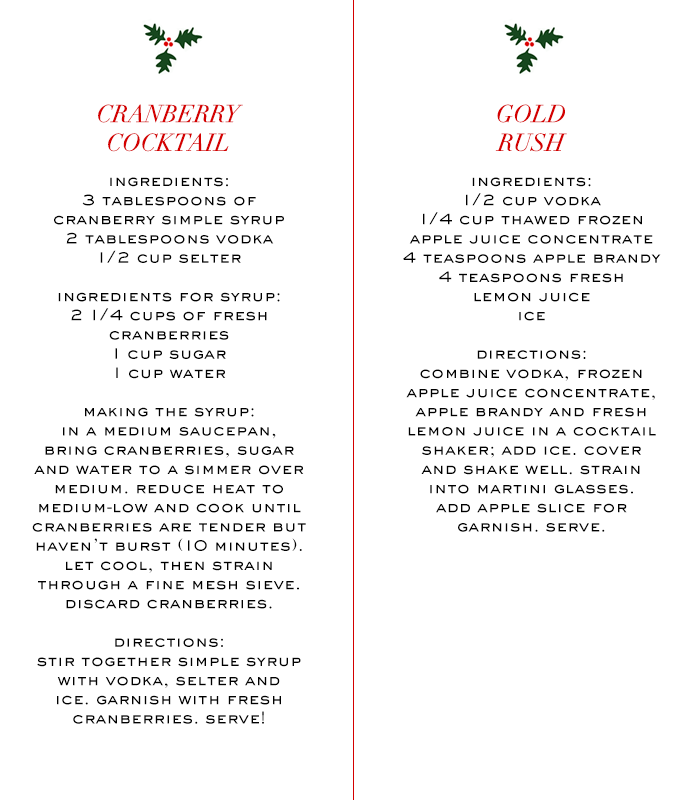 The two recipes I used for the party are below – my favorite was the cranberry cocktail. Such a festive and tasty drink! Don’t miss your chance to own (or gift!) 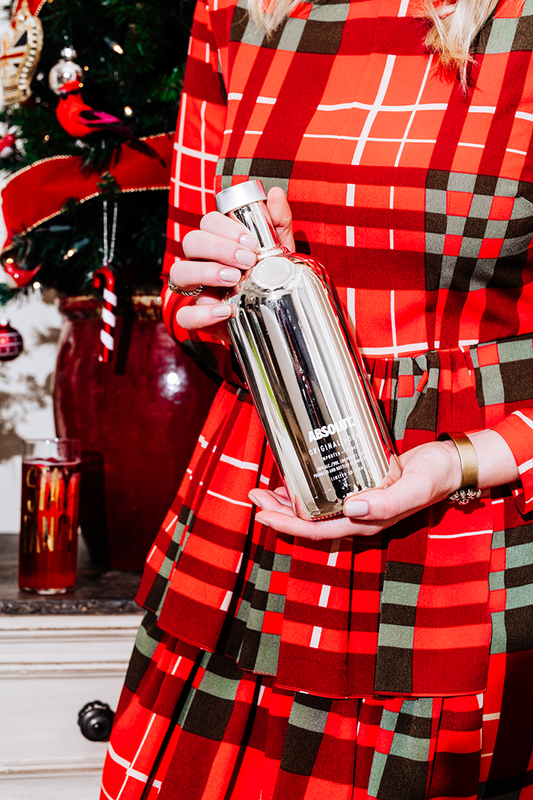 a limited edition Absolut Electrik bottle – these bottles are on shelves now through the holiday season! To learn more about Absolut Electrik, click here. Recipes via Martha Stewart and Bon Appetit. Great seeing you on Friday! Those photos are gorgeous! I like the slight over exposure of them, it makes it look quite shiny and bright. That Cranberry cocktail sounds so good! I have a bag of cranberries that I’ve been needing a recipe for…I’ll have to try this over the weekend! Great post, Merritt! You look great, and the cranberry cocktail sounds delicious. Definitely trying these cocktail recipes! This is such a gorgeous setting and that dress is amazing! What a fun post! You look so festive! Happy holidays, Merritt! That is so the ultimate holiday dress! So pretty! 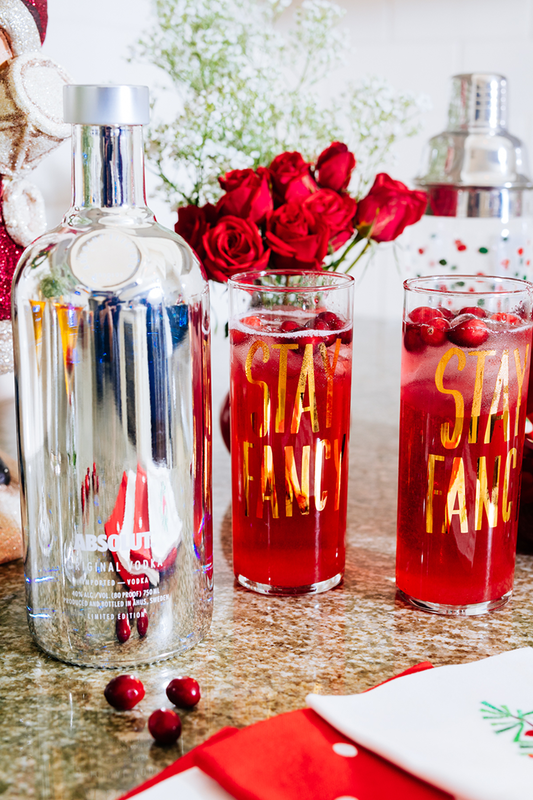 I love a festive cocktail especially this time of year! That dress is so cute! I love the plaid!